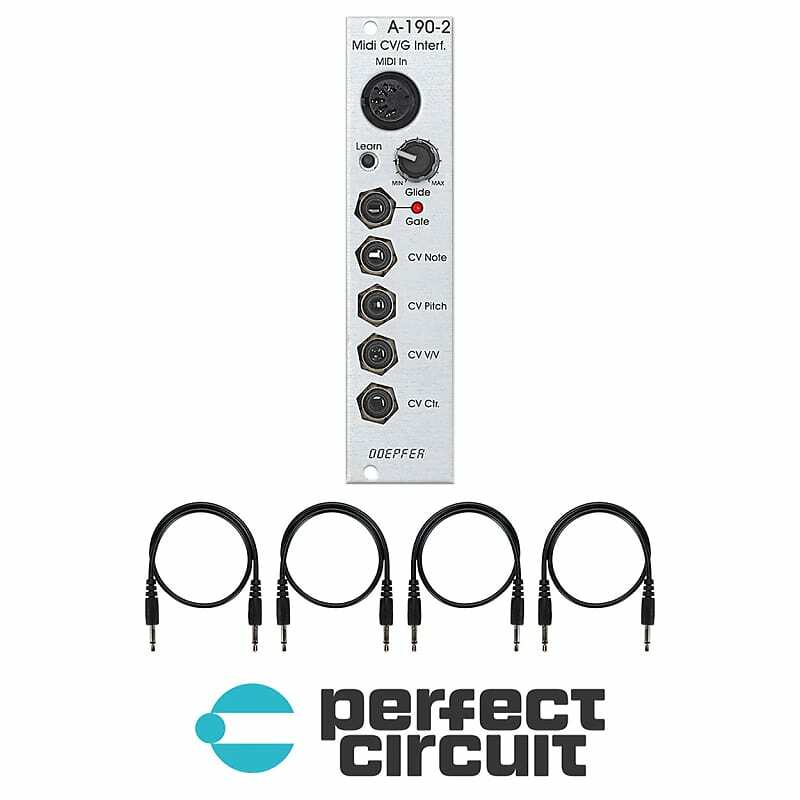 Module A-190-2 is an economically priced alternative to the MIDI-CV/SYNC interface A-190-1. It can be used in all cases where the additional features of the A-190-1 are not required (e.g. clock output, start/stop output). A-190-2 is the modular version of the established MCV4. Only some minor changes were made for a better adaption to the A-100 system, e.g. five 3.5 mm sockets, zero-symmetrical CV for pitch bend to be able to adjust the pitch bend range e.g. in combination with the precision CV adder A-185-2, glide function. By means of two jumpers CV1 and Gate can be connected to the corresponding lines of the A-100 bus. That way the VCOs A-110 or A-111 and the envelope generator A-140 can be controlled directly via the A-100 bus, i.e. it's not necessary to patch CV and Gate with cables between the front panels. Midi channel, reference note for 0V CV1 and the midi control change number for CV4 are adjusted by means of the learn button.